This past week, to our astonishment, we learned that the Obama administration is seriously considering further concessions to Iran, and allowing U.S. dollars to be used to facilitate trade with the terrorist-supporting regime. Behind this latest concession - behind every action having to do with Iran, and for that matter most other actions of this so-called "Presidency" - we observe the power of a "consigliere," in name Valerie Jarrett. 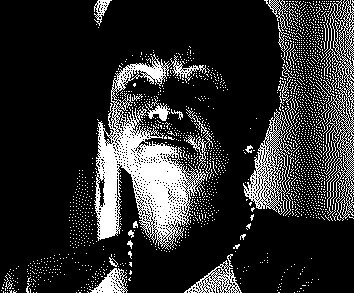 Jarrett is the Iranian-born "Senior Advisor" to Barack Hussein Obama, but her true influence is akin to a "consigliere." Just what is a consigliere (plural: consiglieri)? From the Latin "counselor," a consigliere is the position within the Mafia that advises the Boss. (Remember The Godfather, Don Vito Corleone's consigliere was the adopted son, played by Robert Duvall.) Consiglieri exert tremendous influence. There were several notable advisors to rulers who rose to dominate their nation's policies. The consiglieri almost certainly have their own interests in mind when dispensing advice. Indeed, Valerie Jarrett, who first introduced Barack to Michelle, and whom Obama considers "family" and "trust[s] completely," has historical parallels. Let's take a look at two infamous historical figures and show the parallel to Jarrett's position within today's administration. In the seventeenth century, Armand Jean du Plessis, aka Cardinal Richelieu, rose to be the First Minister for the French King Louis XIII. A powerful Cardinal in the Catholic Church, Richelieu, or l'eminence Rouge (the Red Eminence) as he was known, rose to prominence in the King's court, first as an advisor to the King's mother, and later as a direct advisor to Louis XIII. Historically, Richelieu is remembered as the mastermind behind a move to centralized monarchical power in France, and French opposition to the Habsburg Empire, which at the time ruled Austria and Spain. Richelieu built a luxurious palace for himself called Palais Cardinal (later renamed and known today as Palais Royal). Richelieu, who is the archetype of shadowy power behind a king, has a mixed legacy: although his policies contra the Habsburgs were largely successful, nationally his tendency to centralize power led to absolute monarchy and eventually the French Revolution. Richelieu's actions resonate even today in many aspects of politics: for example, the Canadian historian John Ralston Saul has referred to Richelieu as the "father of the modern nation-state, centralised power, [and] the modern secret service." Richelieu was also the founder and patron of the Académie française. In the twentieth century, a repugnant consigliere of the last Czar of Russia, the devout Nicholas II, was in part responsible for the collapse of the Russian Empire. Grigori Yefimovich Rasputin, or simply Rasputin, took advantage of the Czar and Czarina by claiming to help heal their hemophiliac son, Alexi. The religious Rasputin claimed to be a mystic healer, a trend that was very popular in Russia during the era. Following the "miraculous" recovery of their son Alexi from one of episodes, the Czarina was convinced Rasputin had saved him. From then onwards, despite great disdain of Rasputin by the Czar's court and other advisors, Rasputin was personally protected by the royal couple. He had the trust of Nicholas II in all matters, from war (World War I, in particular) to domestic politics. Like Richelieu, Rasputin was a strong proponent of absolute monarchy: central control of Russia through the power of the Czar. This further agitated the liberals of Russia, who had been attempting Duma reform. So strong were Rasputin's machinations over the Czar and Czarina that many historians regard him as a toxic influence that blinded Nicholas II, and eventually led to the downfall of the Russian Empire. The Czar, known for being indecisive, was dependent on the scheming Rasputin for advice. His weakness, combined with the fallout of World War I, handed Russia to the Bolsheviks in 1917. The cursory sketches of Cardinal Richelieu and Rasputin show alarming parallels with Valerie Jarrett modus operandi. Like the two consiglieri of the past, Valerie Jarrett is advising Barack Hussein Obama to rule Washington in an increasingly centralized and despotic manner. "I've got a pen and I've got a phone," Obama once stated when asked how he would deal with opposition. Executive orders designed to circumvent Congress are essentially the tool of an absolute monarch/dictator who does not answer to elected legislature nor to the people. In foreign affairs, Obama's legacy has added a chapter with the "opening" of Cuba, and his subsequent trip to Havana. The next step would be a presidential trip to Tehran, and putting a seal of approval on Iran's rejoining of the international community. Jarrett's puppet strings have been used to "normalize" relations with the greatest state sponsor of terror in the world. There is nothing new under the sun. History repeats itself with different names and different characters. Is Valerie Jarrett a Richelieu, a Rasputin, or a combination of both? A consigliere's involvement in politics is nothing new. More Rasputin than Richelieu. At least the latter had some redeeming qualities. Jarrett has none. Anyone who can't see how much Obama despises our country is willfully ignorant to the point where they must go through an incredible cognitive dissonance to arrive there. Iran is just a symptom of the problem. After the balloon goes up, maybe we can hold a lottery to see who gets to pull the rope. I'd buy a few tickets for sure. Obama's just the trained monkey that reads the teleprompter.